The time has come to put our tech in check. Technology, however enticing, is not and will never be a quick fix to all of our educational challenges and no, it will never replace great teaching. Since 2011, Lookstein Virtual Jewish Academy has partnered with Jewish schools, providing the opportunity to expand, enhance, and supplement their existing curricula with online courses that serve as a compliment to the amazing teaching already taking place in each school. We have continued to emphasize the importance of excellent teachers (in fact- many of them are on the Lookstein Virtual Jewish Academy team!) and we have developed an online model that stresses the role of the teacher. But technology does have the power to make learning more engaging and relevant, to enhance and improve upon what we are already doing, and to provide learning opportunities that weren’t possible before. With careful planning, selection, and implementation we can harness technology to achieve and exceed so many of our educational goals! 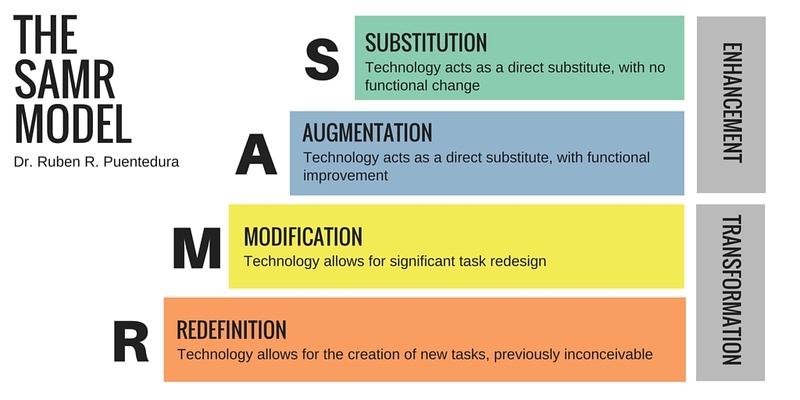 So let’s acknowledge that there is no one easy solution to all of our issues, and let’s focus on three ways that technology can transform our classrooms. Read the first of a three-part series on Increasing Access below. Look out for more on Extending Connections and Improving Quality in the coming blog posts. It’s easy to forget what classrooms were like before SMART boards, 1:1 devices, and educational apps galore, but let’s take a minute to really think about how technology continues to advance our classroom experience. Students and teachers today, in every geographic location, and for every budget have access to an unprecedented wealth of knowledge. We have the ability to bring into our classrooms information to which we have never before had access. Programs like The Global Classroom Project, Skype an Author Network, and even Ted Talks and YouTube enable us to retrieve information from around the globe and use it to enhance and expand student learning. We have access to authors, scientists, experts, and students from different backgrounds, but this access doesn’t just work in one direction. For the first time, we are also able to create something in our own classrooms and reach a global audience. The difference we see in quality of work and student engagement when an assignment is produced for a wide audience, as opposed to one’s own teacher and classmates, is astonishing. With blogs, YouTube, and other tools for publishing and sharing both student and teacher work, our reach is limitless and the potential to create great work increases tremendously. The tools available that enhance our accessibility are also unprecedented. Students who are hearing and visually impaired can be easily integrated into classrooms, and more and more technology-based tools are being developed to help students with a range of learning disabilities. With Closed Captioning, Multiple Translations, Audio Description, Screen Reading, and more, this increased access that we are experiencing reaches an even broader audience of users with various disabilities and learning needs. For more on this, please email us. As you are wrapping up the school year and starting to plan for fall, consider making a few minor, but powerful, changes in your classroom next year. Choose to watch a live stream of a major event rather than read about it or watch it later. This small augmentation will enable your students to develop their own opinions and engage in debate that is authentic and immune to outside factors. Ask your students to record a presentation at home or “on set” and upload it to your school’s YouTube channel instead of making an in-class presentation. Modifying this assignment will completely transform how your students approach and engage with the task. Or maybe join the Global Classroom Project, create a class Twitter account, and connect with classrooms in other parts of the world to expand your students’ world view. Now this is revolutionary. The possibilities are endless, and we think you’ll be quite pleased with the results. Stay tuned for Parts 2 and 3 of this series. Please email me at chevi@lookstein.org for additional ideas to increase access through technology in your classroom and in your school.